TThe SENSIT® CO is an advanced state-of the-art hand held carbon monoxide (CO) analyzer that will display readings from 0-2000 ppm in residential or commercial environments. Equipped with a low cost long life sensor and a powerful rotary vane pump this instrument will provide accurate readings with minimal maintenance cost. 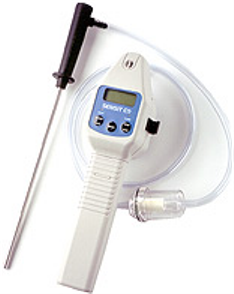 The SENSIT® CO is easily calibrated in the field with its optional calibration kit. The instrument comes complete with the accessories needed to conduct both ambient and flue gas CO checks.